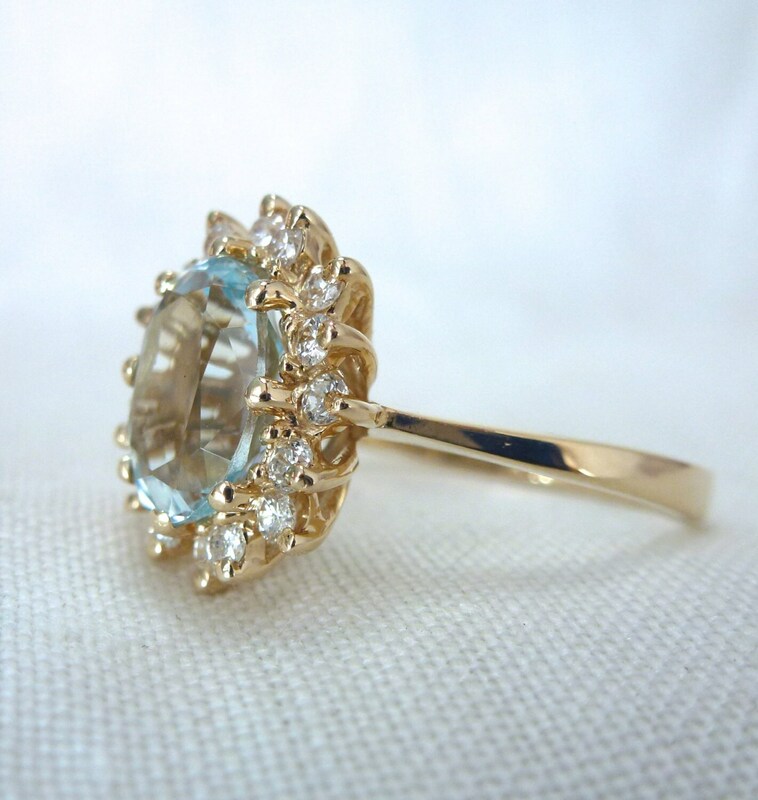 Saratoga is a lovely, aquamarine and diamond flower halo ring in 14kt yellow gold. 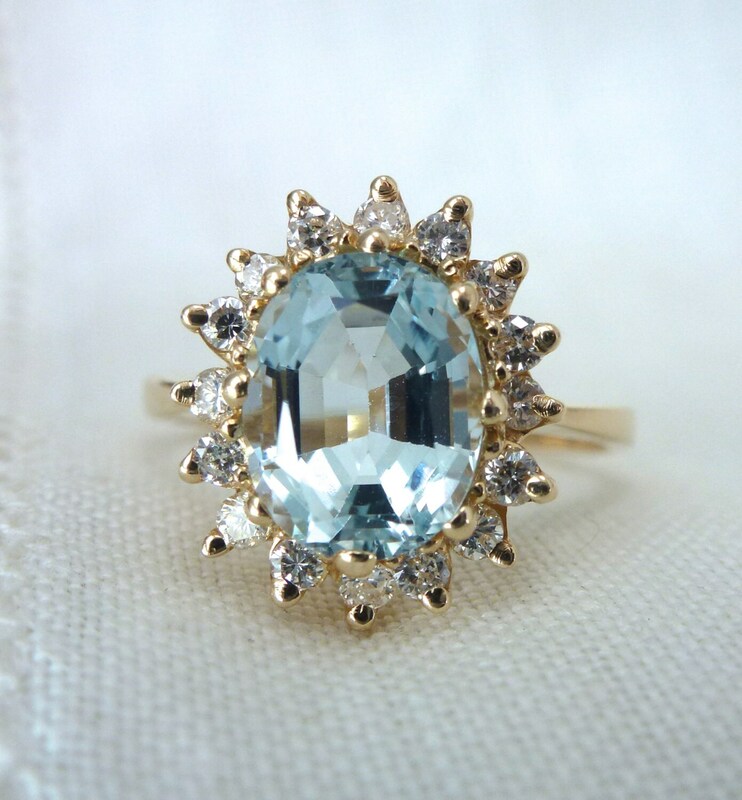 The aquamarine is a nice soft light blue with fabulous glow and sparkle. 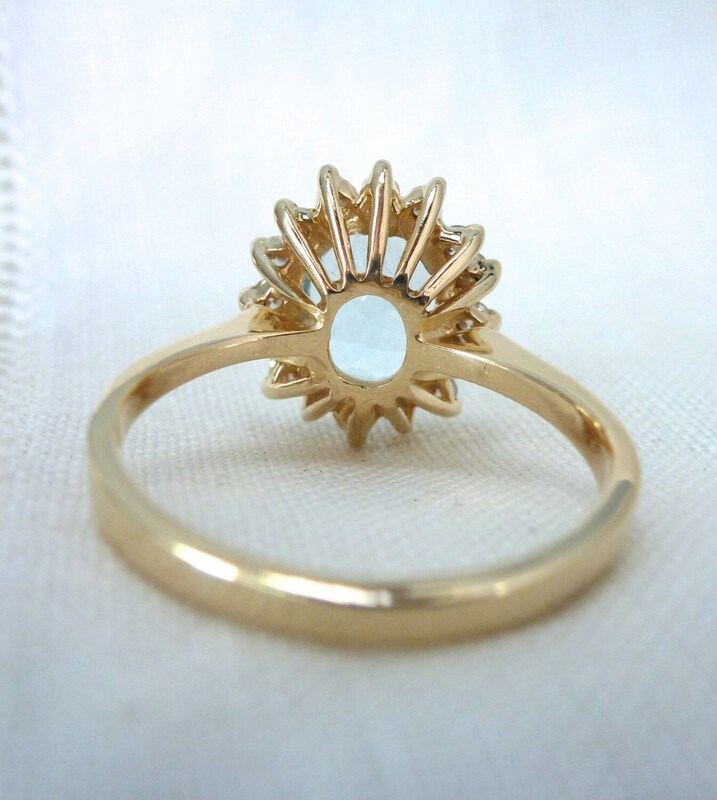 It is set off by sixteen round diamonds that are stepped up and down all around. 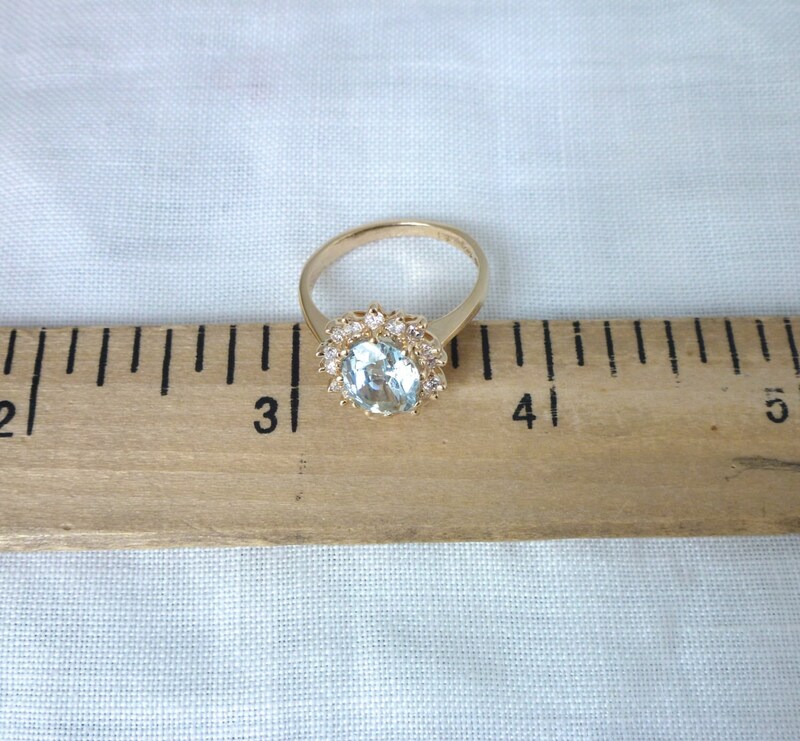 She is from around 1980 and is in excellent condition with no noticeable wear at all, though she has been sized. 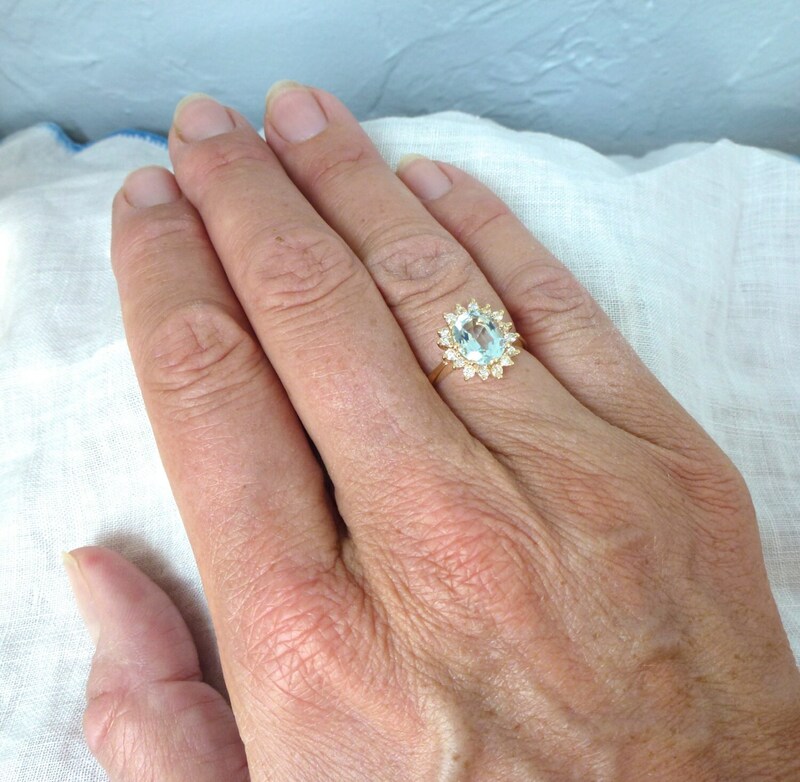 The thing I just love about aquamarines is that fabulous glow that they have on your hand, which you can clearly see in the last photo - it is even better in person! 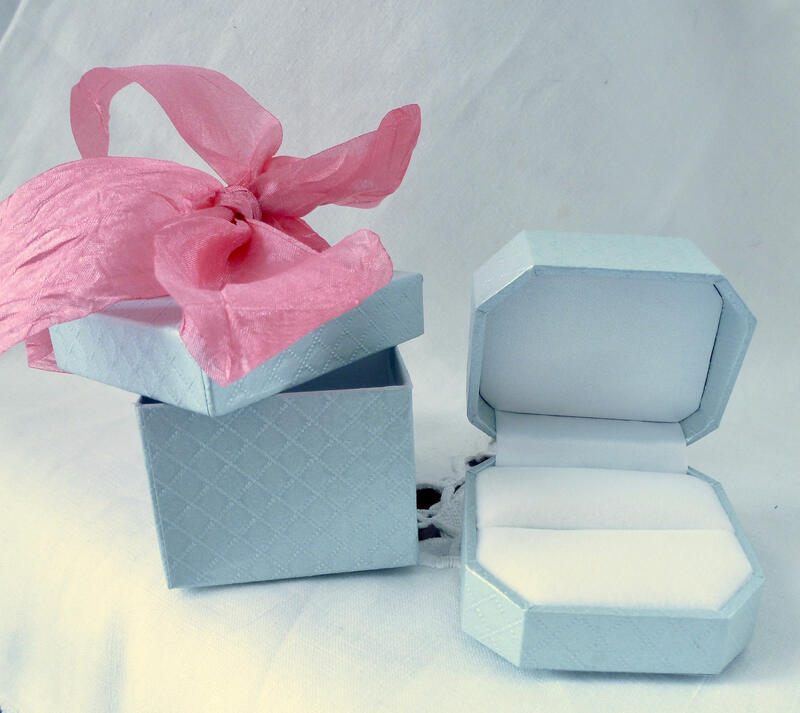 Saratoga is perfect for the girl who loves a delicate blue color and loves vintage jewelry! 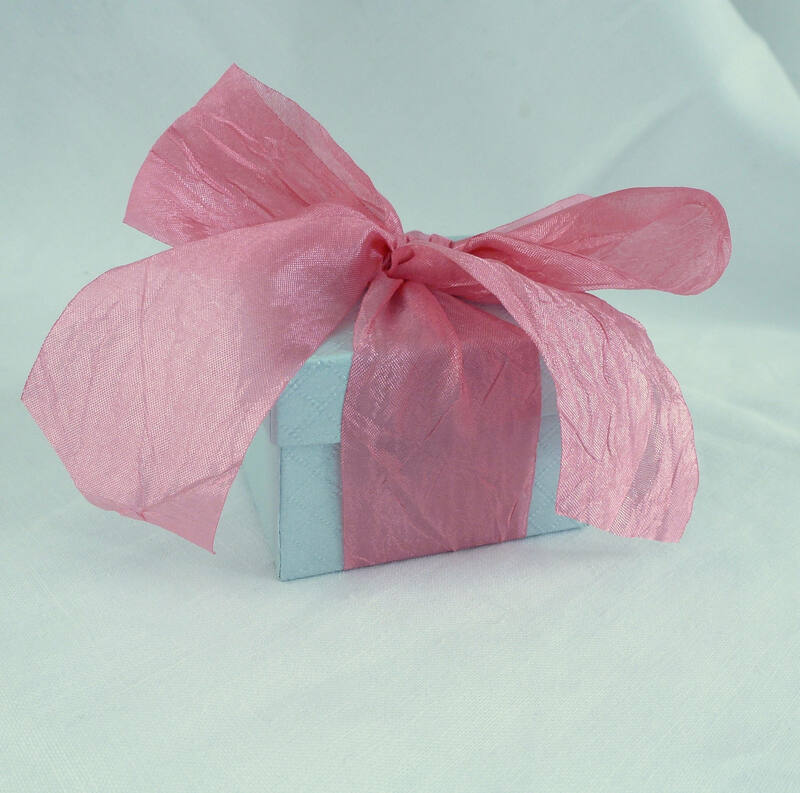 Will arrive in a beautiful ring box with a fabulous rose colored ribbon!